70s My First Telly! necklace. 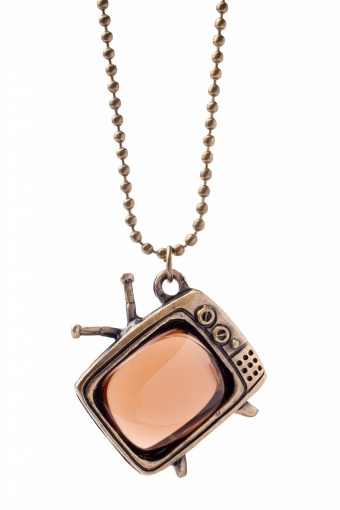 Soooo retro this cute necklace! 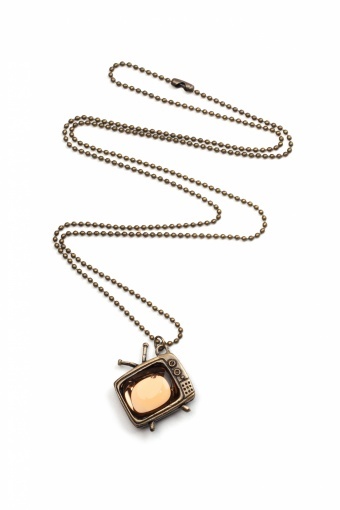 This realy cool portable telly pendant has a shiny brown toned screen and is stunningly detailled, even at the back! 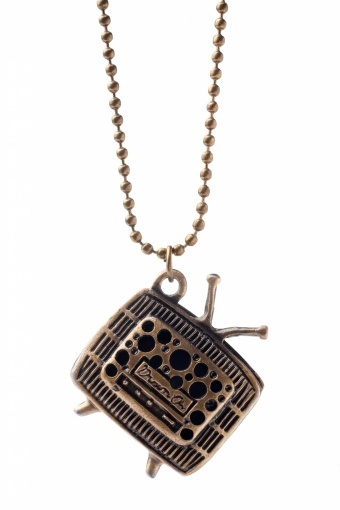 The bronze toned fine key chain can be adjusted to any desired height. Nog mooier dan de foto's hier.